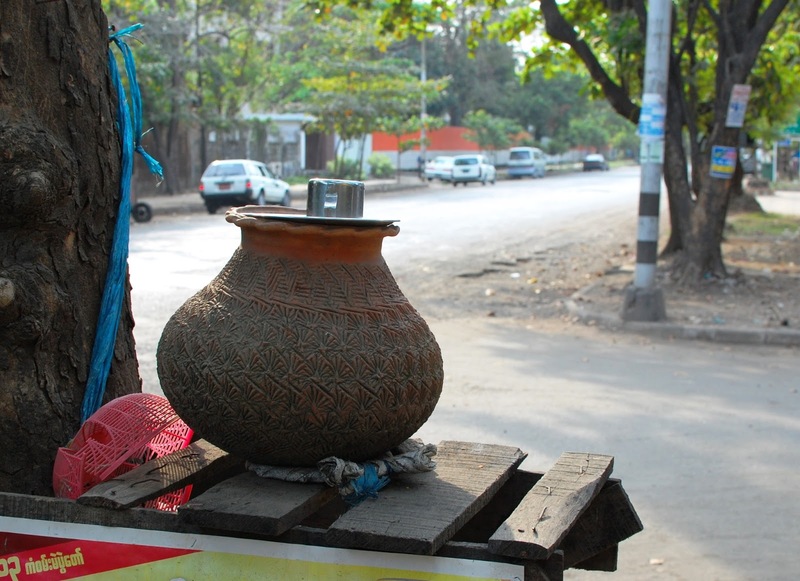 Throughout my travels in Myanmar, households and businesses freely provided a water jug accessible to anyone passing by. The jug was typically unglazed pottery like this one, to keep the contents cool. It was always covered, to avoid contamination. And a cup or two was offered to allow for taking a drink.